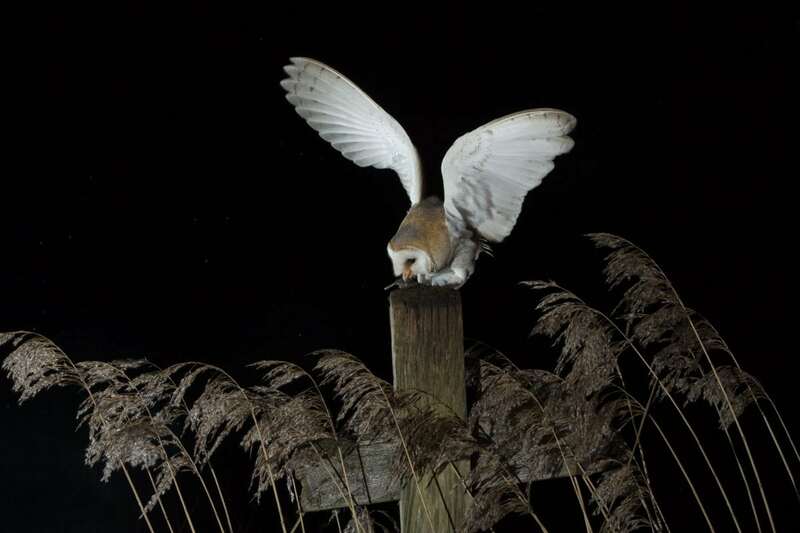 These fantastic pictures of were taken by an amateur wildlife snapper in Norfolk, who caught the iconic creature in all its glory. Vince Burton, 40, who works as an accountant, began feeding mice on a small piece of land belonging to a local farmer. He was hoping to attract kestrels that he had seen hunting there previously, but ended up with a barn owl moving in, much to his amazement. 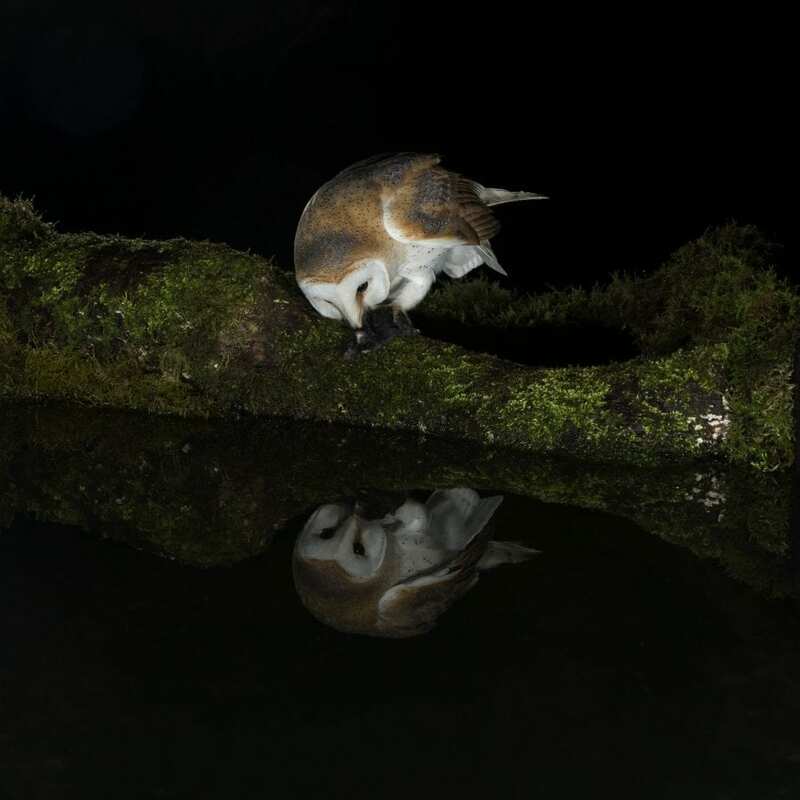 Over time he introduced a hide and started taking pictures of the owl feeding. Vince said: “Last year I asked a local farmer if I could gain access to a small piece of land that he was not cultivating as I had seen a kestrel hunting there. “I began to feed the mice, hoping that if they were in the field and feeding, this would bring in the predators that hunt them. “This was indeed successful, but not with the kestrel which I had planned. Instead a barn owl took up residence, hunting from the posts I provided. “I have slowly over a period of time introduced a hide and then eventually a camera and gained a glimpse into this birds’ life. “Every evening as dusk approaches, I rush home and sneak into my hide, waiting for her to arrive and watch patiently as she quarters up and down the meadow and along the hedgerow. 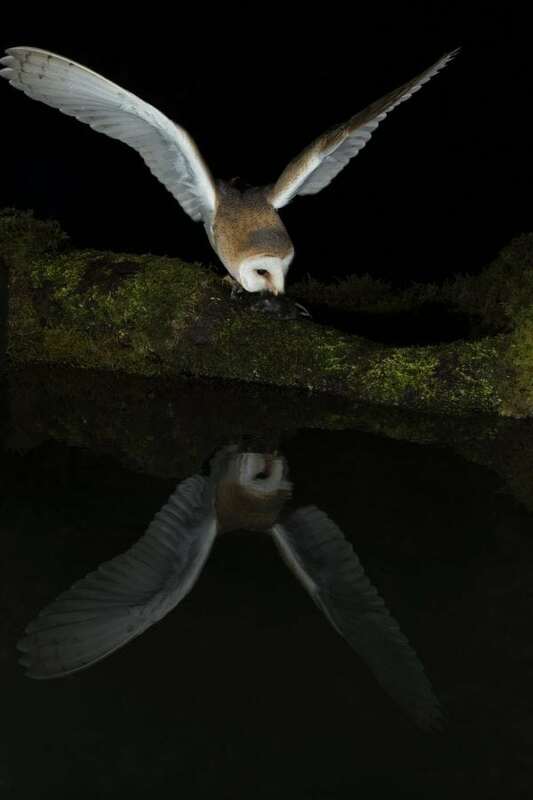 He continues: “Barn owls like so much of our wildlife is struggling to survive and this help, leaving a small piece of grassland uncut can really benefit them.